Loyal fans of the prolific O'Brian may welcome the opportunity to round out their collections with this first American edition of his 1962 novel about a bohemian artist in 1930s England, but those anticipating a rollicking yarn in the tradition of the celebrated Aubrey/Maturin series will be disappointed. It's 1944 when the novel opens on Richard, pegged as an Allied agent, withstanding torture and interrogation at the hands of the Gestapo in a French prison. In his cell in between beatings, he retreats to his memories, which make up the bulk of the novel. The story casts back to his bleak childhood as son of a strict rector and his pretty wife. He studies painting in France, and eventually returns to England, facing the life of a starving artist in London. There, he falls in with a gang of thieves and becomes a forger of famous paintings, drifting along hand-to-mouth until he coincidentally meets Phillipa Bret, a wealthy socialite who becomes his patron and object of desire. 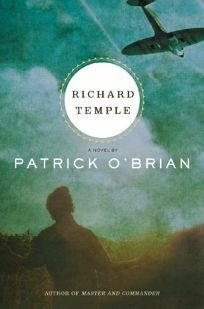 By this time, the Nazis have invaded France, and at Philippa's urging, Richard tries to enlist. Poor health leaves him fit only for intelligence-a career switch O'Brian quickly glosses over. This desultory character study will thwart readers looking for action and intrigue.